The 5400 is the same as a 5200 but 3 inches more width and opening width. 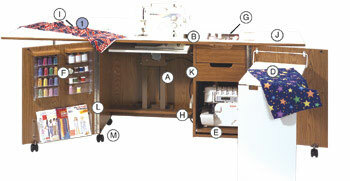 Serger shelf height 13.5" can accommodate larger machines by removing the bottom drawer. Tall serger? Order without bottom drawer! Opening is 27" x 13.5"